Dash Deluxe Electric Air Fryer + Oven Cooker with Temperature Control, Non Stick Fry Basket, Auto Shut Off – Just $69.99! Was $128.35! Today only, save big on a quality air fryer! 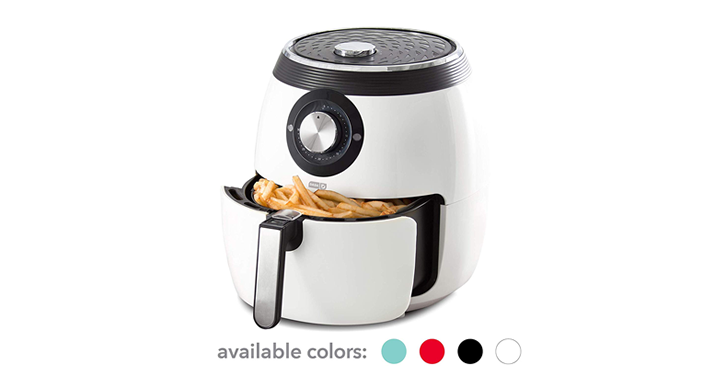 Air is the new oil, and now with the Dash Compact Air Fryer you can use that air to fry in a healthier way! The Dash Compact Air Fryer makes crispy and delicious meals with 70% less fat than traditional frying methods. Check out this GREAT price! Check out Amazon’s DEAL OF THE DAY – Save on the Dash Deluxe Electric Air Fryer + Oven Cooker with Temperature Control, Non Stick Fry Basket, Auto Shut Off! Priced at just $69.99!